Join MFML teacher Lucy McCarthy and founder Kat Farrants this November at the incredible Suryalila, in Spain. We will showcase live what the Movement is all about - the endless possibilities and joy of yoga. Stand up and Stretch out in your lunch break. 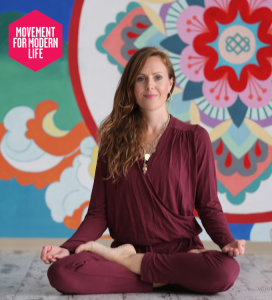 Join MFML teacher Jonelle Lewis and founder Kat Farrants this June just in advance of International Yoga Day, in Paddington, London.